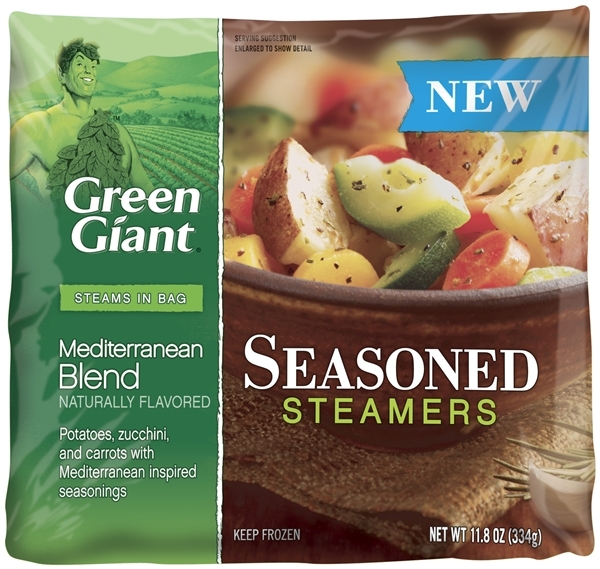 Green Giant has come out with a new variety of frozen vegetables, named "Seasoned Steamers." There are 6 varieties to choose from. The thing I like about them is that they don't have a sauce. My family doesn't like sauces on vegetables, but I like frozen vegetables because they are easy and the nutritional content is preserved through freezing. 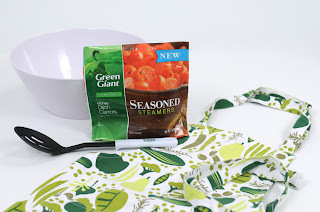 My Blog Spark and Green Giant are offering a $1 coupon for you to print and use on your next shopping trip. (Coupon Link) You can also find information, recipes and more at the Green Giant Facebook page. I also have a fun giveaway for one of my readers. 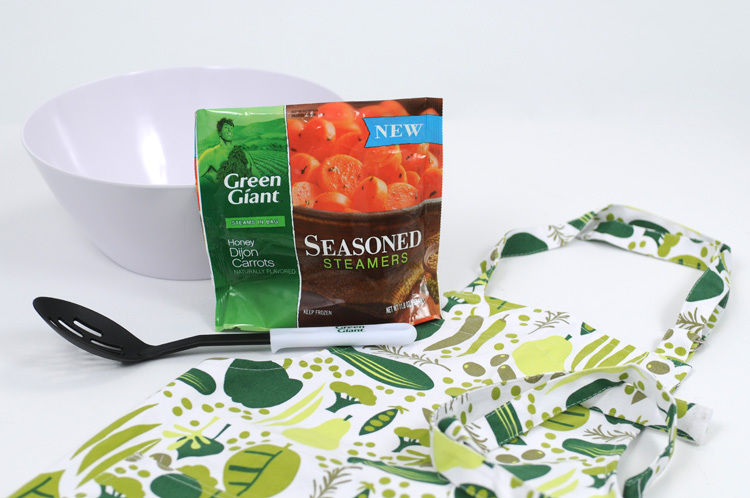 You can win a nice white serving bowl, a slotted serving spoon, a fun vegetable print apron, and a coupon for a FREE bag of Green Giant Seasoned Steamers. The giveaway will end on November 11, 2012. You can find all my giveaway rules linked on the top right of my blog. (Giveaway open only to US addresses.) Good Luck!! Thanks so much for the giveaway. I've not seen those at the store, but they look DELICIOUS!!!! Good to find some new veggie ideas! Thanks for the giveaway!